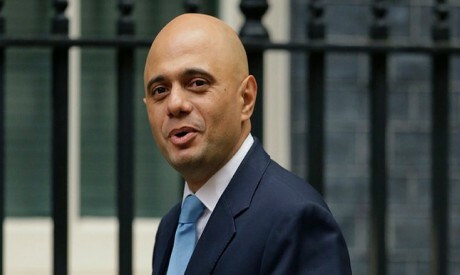 Britain will have a good set of proposals on Brexit policy ready for a meeting of European Union leaders this month, interior minister Sajid Javid said on Sunday, adding that he expected a positive response from Brussels. Prime Minister Theresa May is struggling to find a proposal on post-Brexit customs arrangements - the biggest stumbling block so far in exit talks - to take into negotiations with Brussels as the clock ticks down to Britain's scheduled exit in March 2019. The border between British-ruled Northern Ireland and the rest of Ireland will be Britain's only land frontier with the EU after it leaves the bloc. While both sides say they are committed to keeping the border open, finding a practical solution is proving elusive. Irish foreign minister Simon Coveney warned of an "uncertain summer" if there was no progress on agreeing the so-called 'backstop' arrangement to prevent a hard border in the event of trade talks failing. The Sunday Times reported that a failure to reach an exit agreement with the EU would cause shortages of medicine, fuel and food within two weeks, citing an unnamed source's account of a document prepared by officials for Britain's negotiators. Since Britain's shock June 2016 referendum vote to leave the EU, May has insisted that leaving without a deal would be a better outcome than negotiating a poor settlement with Brussels. The government says it is aiming to get a deal, but still preparing for all scenarios, including a no deal outcome. "I don't recognise any bit of that at all. As Home Secretary, as anyone would expect, I'm deeply involved in 'No Deal' preparations ... but I don't recognise any of that," he said.